At Keith Willis Associates, it’s our passion, friendly approach and professional experience which makes us one of Nottingham’s most dependable chartered accountants. We tailor our accounting services to your needs, with a specialist focus on business development and planning for small and medium sized companies. We take a proactive approach to ensure optimal and efficient performance for your business; from startups in need of a ‘kickstart’, to small companies looking to grow, we have the experience and innovative mindset to help you achieve your goals. No matter what level of accountancy services you require, we’re devoted to finding innovative ways to ensure your business is never impeded by worrisome tax or financial issues. 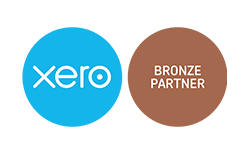 Our specialist services will allow you to focus on what’s important to you, ensuring the stress of bookkeeping, payroll and tax legislation is left to the professionals. To discuss how our accounting and business development services can help you, contact our friendly team today.